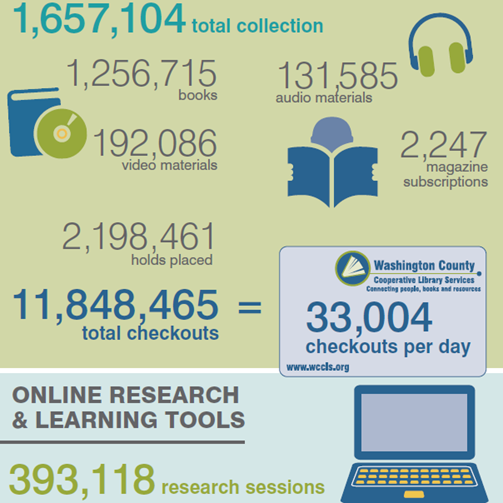 Did you know that WCCLS libraries have 1,657,104 items you can check out? 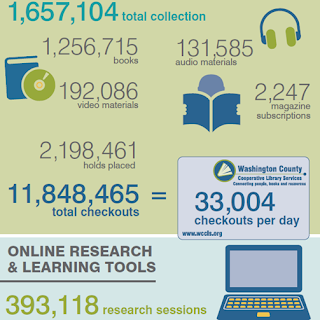 Or that our library users check out an average of 33,004 items per day? Or that WCCLS member libraries see an average of 10,943 visitors each day? Find out more fun statistics in the WCCLS 2015-2016 Year in Review, or in the At-a-Glance infographic.